Visit the city of Tagaytay on this full-day tour from Manila. After the scenic drive, you'll arrive in Tagaytay, which sits on a ridge 2,200 feet (670 meters) above sea level, providing views of Taal Lake and Taal Volcano. Your day trip starts with hotel pickup by your guide in the morning for the 1.5-hour leisurely drive south of Manila toward Tagaytay. Along the way, travel through the city of Las Piñas and stop by St. Joseph Parish Church to see its bamboo organ, a popular local attraction. Then continue the drive, heading up past fruit and vegetable plantations. When you reach Tagayatay, visit a lookout point to stretch your legs and admire the view of Taal Volcano, which sits on an island in Taal Lake. 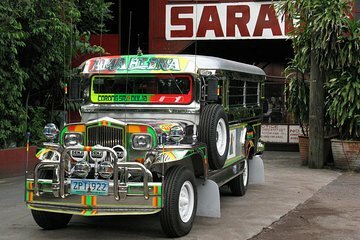 You'll also make a side trip to the Jeepney Factory, which manufactures Manila's famously funky public transport vehicle. During the day, enjoy your time out of the city, where you can admire flowers, coffee farms, and other countryside sights. Your tour ends with transfer back to your hotel.